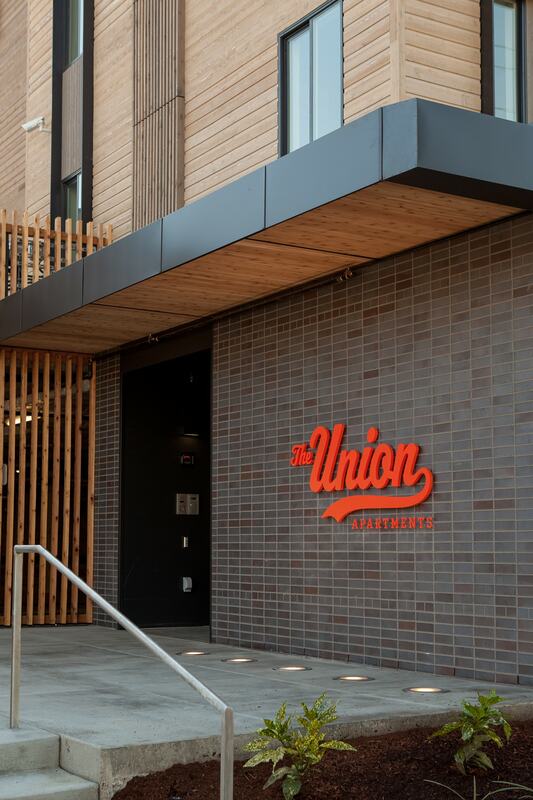 The Union is an apartment complex that meets the growing need for student housing in Corvallis in a way that positively impacts the community and can, perhaps, serve as a model for future off-campus development. The project’s 4-story contemporary building draws upon the traditional architecture of the College Hill neighborhood. An elevated garden roof on the second floor, landscaped ground floor courtyards, and a promenade that crosses the site provide public and private open space for residents. To highlight the history of the site, a commemorative artpiece celebrates those who were born or worked at the Corvallis General Hospital formerly located on site. The Union was the first LEED certified multi-family building in the City of Corvallis.